Ws dealing with the rooms and parts of a house, some furniture, and exercises to practice habits, there is / there are / to be (present) / prepositions of place. Fully editable, hope it´s useful. Thanks for downloading! Have a nice week. 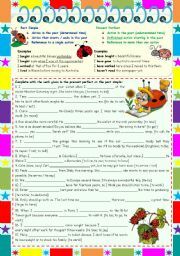 A worksheet contrasting the present perfect and the past simple, with grammar rules, examples and exercises to practice and understand. The keys are included on the last page. The worksheet is completely editable / correctable. Hope it’s useful. Thanks for downloading and have a nice day! 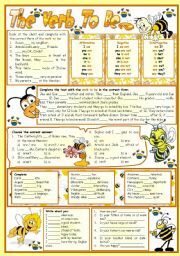 This worksheet was designed with “bee theme”, dealing with the verb to be in the present (chart included) providing 6 different tasks for students to practice. The B&W and the teacher’s version (with keys) are included. This printable is completely editable / correctable, hope you can use it. Thanks for downloading and have a nice day. 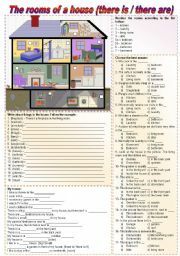 Contents: page 1- table with examples and explanation + gap-filling; page 2 and 3- game cards; page 4- teacher´s keys and game directions. The pictures were grouped but you can ungroup and change them. You can edit the words or add more cards by copying and pasting. Thanks for downloading. Have a nice day! I prepared this ws to use with my low advanced students this week, with a grammar guide and lots of exercises to practice. It´s completely editable to better fit your needs and the keys are included in the second page. Hope it´s useful. Thanks for downloading it! 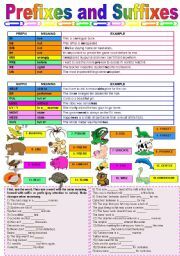 A text (source given) with reading comprehension, vocabulary and grammar (word formation - ing adjectives) on the second page. It´s completely editable / correctable. Hope it´s useful. Thanks for downloading and have a nice day! A ws prepared for my low advanced to prepare them for a test. Fully editable, keys included on the second page. Thanks for downloading it! Have a nice day! I prepared it to use with my low advanced today. Expressing future actions, events and ideas using will, going to, simple present and present continuous. 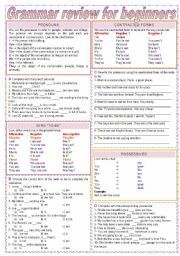 Grammar guide + lots of exercises to practice. You can adapt it to better fit your needs because it´s completely editable - keys included onthe second page.. Thanks for downloading it! 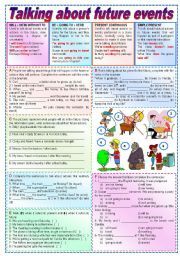 This ppt contains grammar explanation + examples, and some sentences for students to choose the verb tense, and then they see the correct answer. I added effects so students can study at home if you send it by email. Hope it´s useful. Thanks for downloading and have a nice day! A presentation with some humor, the students see examples and complete the sentences orally. It’s editable / correctable, hope you can use it. Thanks for downloading and have a nice day! I prepared this ppt for beginners, ss choose the interrogative pronoun to complete and then they see the correct option. Hope it´s useful. Thanks for downloading and have a nice day! I prepared this presentation to help my beginners learn the relationship between questions and answers because they have problems when deciding how to build a response based on the question elements. Including "yes/no", "or" and "w/h" questions; what, where, who, whose, how and how old. Definitions and examples about some words my ss always misuse. Remember & remind, rent & buy, borrow & lend. 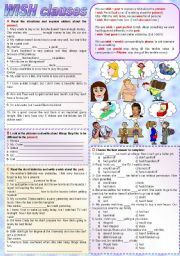 Explanation on the use, definitions, examples and exercises. 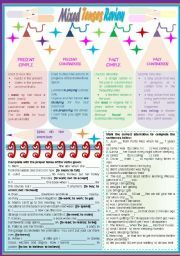 The slides to introduce the lesson and to be used with the “Teacher Questions” (already uploaded). This file is part of a series: Teacher’s Questions, Students’ Printable, Lesson Plan, Doc Flashcards, Slides Flashcards, Drills, Homework. Hope it’s useful. Thanks for downloading and have a nice day!